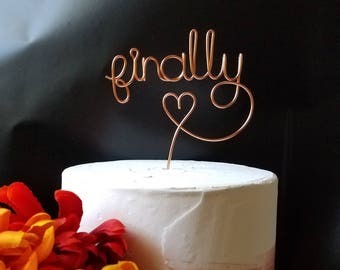 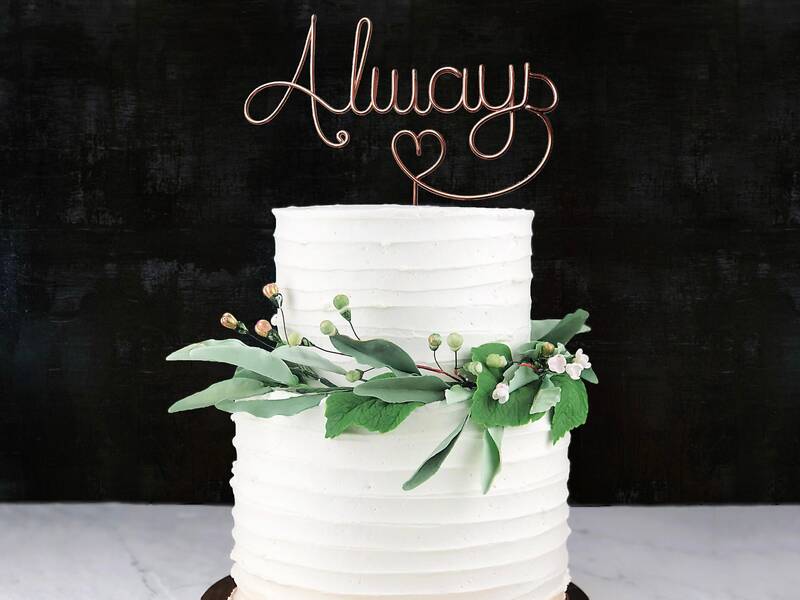 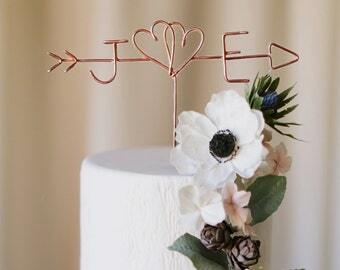 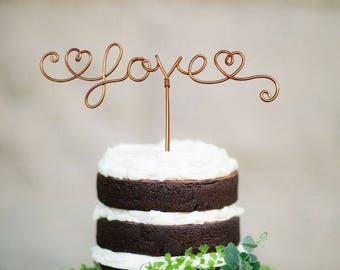 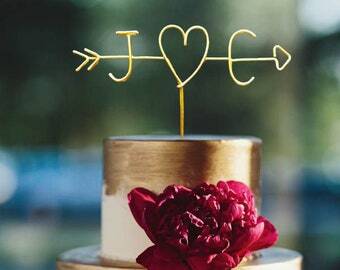 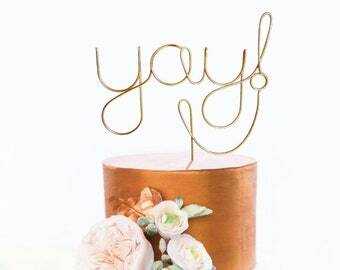 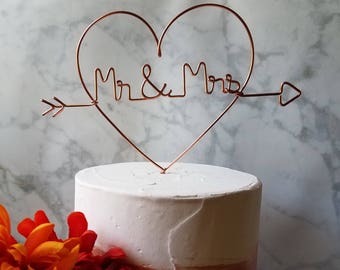 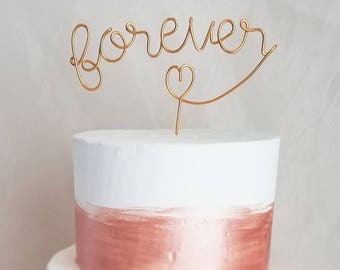 This wire wedding cake topper is modern, rustic and simply elegant. 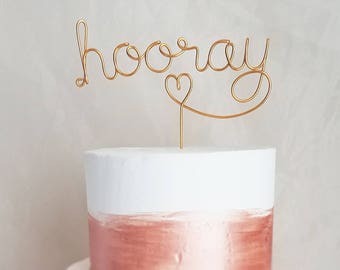 Each topper is about 6" - 7" wide, 5" - 6" tall, custom handmade and unique. 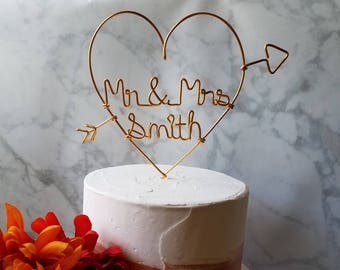 Custom orders start at $19.99, please send me a message if you'd like a name or phrase instead of what's seen here. 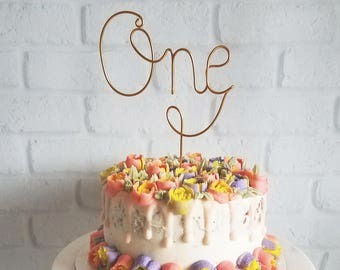 No topper is exactly the same, please allow for artistic variances.